Lately more and more familes in Sweetwater are driving down to Miami Lakes Orthodontics, although dentist who offer Invisalign in Sweetwater are like baker’s dozens. This is because moms who prefer the best know what expert orthodontist Dr. Carmen Crespi brings to the table. Individuals, for a long time, automatically thought about a mouth full of metal, wires and rubber bands when the word “orthodontics” was said. Understandably, these are all effective preventions from people going to the dentist office. Now with the introductions of Invisalign, patient are welcoming to the idea of this alternative to the traditional idea of orthodontics. We can deliberate over some of the benefits of Invisalign in Sweetwater, Fl. Clear braces ot Invisalign is a fairly comfortable, visually pleasing oral plastic device that aids in realign teeth that has been misaligned. Invisalign is available for teens and adults. It has been reported by the American Association for Dental Research that Invisalign clear plastic orthodontic aligners cost more in materials than traditional braces, but they require fewer patient visits and a shorter period of treatment. Invisalign devices are virtually unnoticeable, so people can’t always detect that you are getting orthodontic treatment. Oral care is improved because you need to remove the device so you can eat and you need to brush and floss thoroughly before replacing the aligners. Some patient even lose weight as they don’t snack as much during the process of orthodontic treatment. One other advantage to Invisalign, is that you don’t get as sore inside your cheeks and lips as can happen with traditional braces. Do you know why individuals from all over Dade and Broward are selecting Dr. Carmen Briceño Crespi of Miami Lakes Orthodonitcs for Invisalign Options in Sweetwater, Fl? 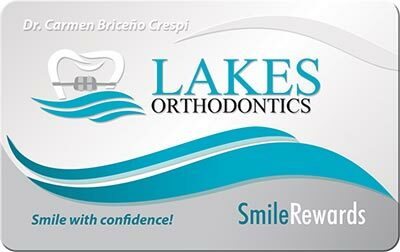 The full staff at Lakes-Ortho is highly trained and their aim is to make sure that each paitent receive the best orthodontic treatment available, even if you don’t meet the criterion for Invisalign. Our office was newly remodeled and uses up to date technology, so you can be sure that you are receiving quality care. The most important point that should influence your decision making process is that Dr. Carmen Briceño-Crespi is a board certified orthodontist. This means she has had additional training in dentistry to be qualified by the American Board of Orthodontics for the title of “Orthodontics”. If you want to know more about Miami Lakes Orthodontics, take a look at our blog. Article Related to Invisalign in Sweetwater, Florida.